The Ministry of Foreign Affairs reiterated Taiwan's sovereignty over the disputed Tiaoyutai Islands despite Japan’s protest. 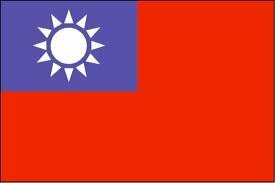 The Ministry of Foreign Affairs reiterated Taiwan's sovereignty over the disputed Tiaoyutai Islands Wednesday [4.7.2012] amid reports that Japanese authorities demanded that a Taiwanese boat leave waters around the islands in the East China Sea. "Taiwan has refused to accept a protest lodged by Japan over the incident," Steve Hsia, deputy director-general of the ministry's Department of Information and Cultural Affairs, said in a telephone interview Wednesday morning. Hsia confirmed that a Taiwanese boat was operating near the Tiaoyutais, which he described as an "inherent" part of Taiwan. The boat, which Hsia said has since left the area, was spotted about 37 kilometers west-southwest of one of the islands in the uninhabited archipelago around 5:35 a.m. Taipei time Wednesday, according to Japanese media reports. Japanese coastal patrol boats issued warnings but to no avail, the reports said. Following the incident, the Japan Interchange Association in Taipei, a quasi-official organization established to handle bilateral affairs in the absence of formal bilateral diplomatic ties, filed the protest with Taiwan that was rejected by the Foreign Ministry. The Tiaoyutai Islands are known as the Diaoyutai Islands in China and the Senkaku Islands in Japan. Both also claim sovereignty over the island group.